Merriam-Webster is getting a little thicker. The dictionary has added more than 1,700 entries, with words describing everything from emerging technology to Mexican delicacies gone mainstream. Here are 10 of the best new additions to the lexicon. 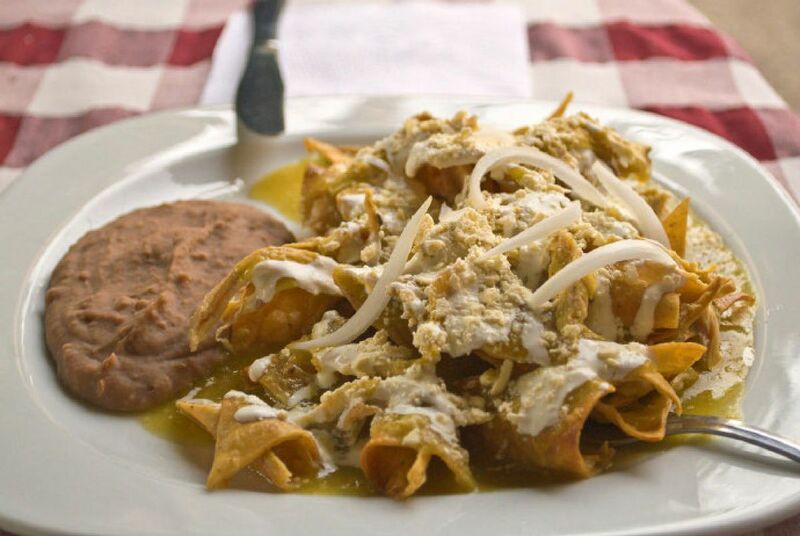 Chilaquiles, a Mexican dish, has been added to the Merriam-Webster dictionary. 1. Net neutrality:Noun. The idea, principle or requirement that Internet service providers should or must treat all Internet data as the same, regardless of its kind, source or origin. First came into use in 2003. 2. Emoji:Noun. Any of various small images, symbols or icons used in text fields in electronic communication (as in, text messages, email and social media) to express the emotional attitude of the writer, convey information succinctly, communicate a message playfully without using words, etc. First came into use in 1997. 3. Clickbait:Noun. Something (such as a headline) designed to make users want to click on a hyperlink especially when the link leads to content of dubious value or interest. First came into use in 2010.
a) An idea, behaviour, style or usage that spreads from person to person within a culture. b) An amusing or interesting item (such as captioned picture or video) or genre of items that is spread widely online especially through social media. First came into use in 1999. 5. Eggcorn:Noun. A word or phrase that sounds like and is mistakenly used in a seemingly logical or plausible way for another word or phrase either on its own or as part of a set expression. If you don’t know how to spell acorn, eggcorn makes a whole lot of sense. It’s not just a mistake, it’s a mistake with creativity. Coined by linguist Geoffrey Pullum in 2003.
a) The layer of creamy tan froth that forms on top of a freshly made espresso. First came into use in 1982.
b) Heavy cream thickened and slightly soured with buttermilk. 7. Chilaquiles:Noun. A Mexican dish of fried tortilla pieces simmered in salsa, mole or other sauce and topped with condiments like cheese, shredded chicken, chilies etc. First came into use in 1935. 8. Photobomb:Verb (transitive and intransitive). To move into the frame of a photograph as it is being taken as a joke or a prank. 9. NSFW:Abbreviation. An acronym that stands for “not safe for work” or “not suitable for work.” It is used to warn someone that a website, email attachment, etc. is not safe for viewing in most places of employment. 10. WTF:Abbreviation. An acronym that stands for “what the f***.” Used to express or describe outraged surprise, recklessness, confusion or bemusement.